How to convert the edited videos into formats for those social networks or media devices? Which is the best video effect software? 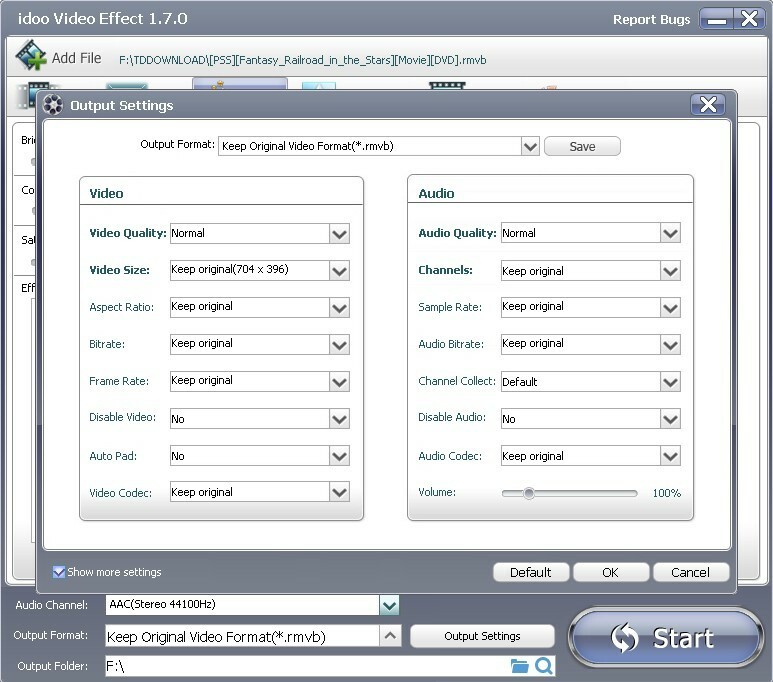 For an ideal video effect software, what are our requirements? First of all, the high process speed. Most software may take much time on outputting the files, and their configuration requirements for computer hardware may also be high. Second, the easy operation. The professional or quasi-professional software would be quite complicated in operating, while as general users, they have little time to learn the detailed information of the process, not to mention the practical operation. Third, integrated functions. 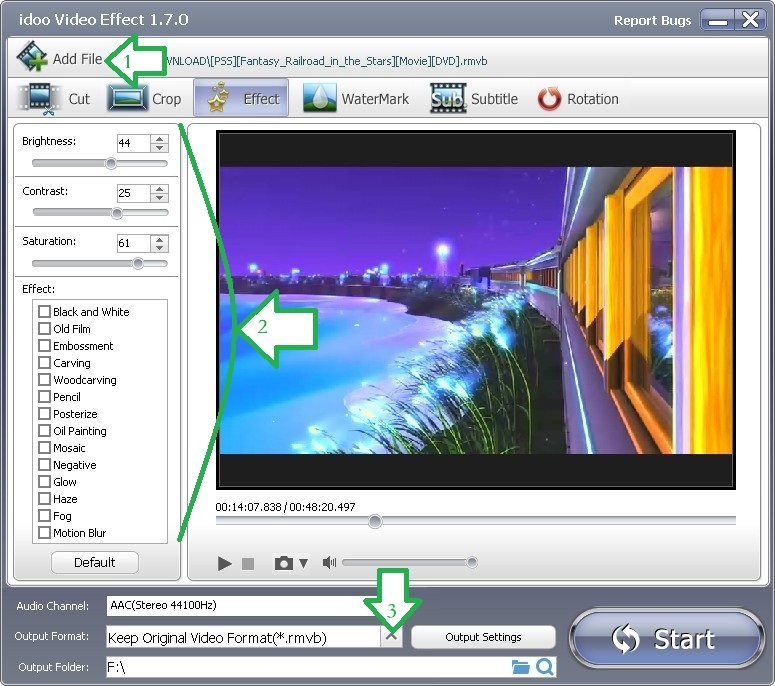 The software may bring us much convenience if it can convert the video format and add effects in one step. The one that meets all requirements above is just idoo Video Editor. In a digital era, it is the very software we need to help us to edit our videos easily. As a social network of great influence, YouTube is an important platform for posting the videos. How to post our edited videos onto YouTube? There are so many media devices, such as MAC, and they have been updating, how to convert our edited videos into formats for various devices? How to effect video for YouTube or MAC or iphone? How to effect AVI/MP4/MKV files? 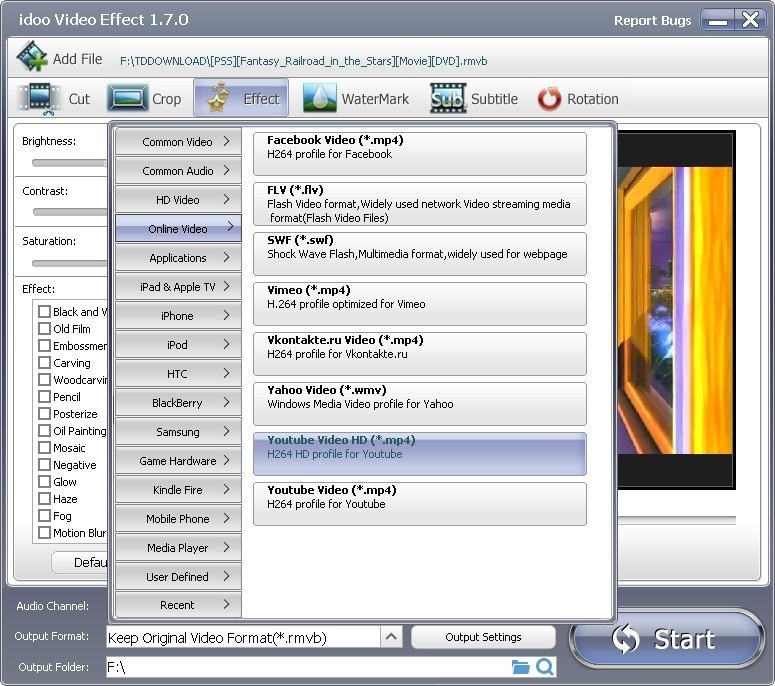 As the time of Windows 8 is coming, how can we add effects to videos in the OS of Windows 8? And how can we convert videos into dominant media formats? 3. Then click the drag-down list (Arrow3). 4. Select the output format you need from the list. See picture above. 5. By clicking “Output Settings”, the quality, size and other configurations of output files can be set in the dialog box. 6. When you finish all settings, click “Start” to begin editing. Then you may check the output file or edit it.